The One Dough That Makes It All: The Insanely Simple Recipe You Need In Your Fridge to Make So Much! 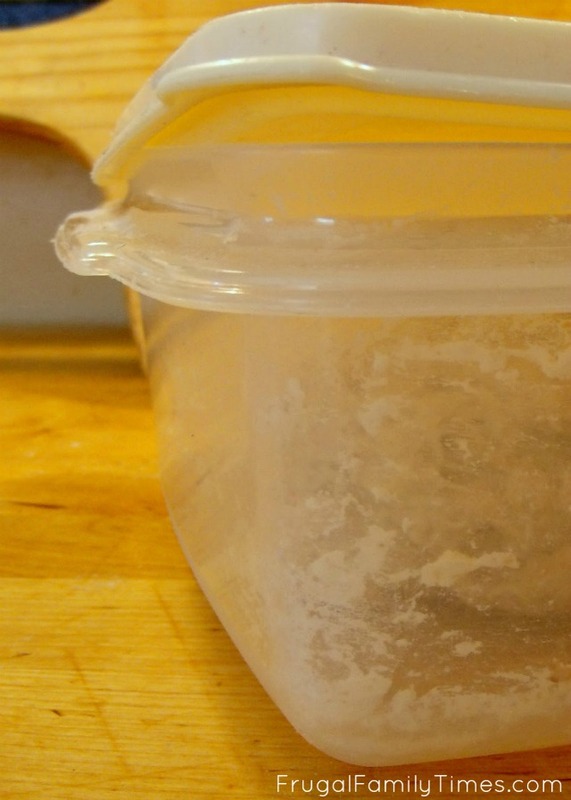 This dough recipe will change your cooking. Truly. We've been making it for years and we will make it for many more years. It takes minutes to mix up and gives you so many options for meals and desserts. We posted about this dough before, shortly after we started making it. After a few years, we've adapted it. Mostly to be healthier. We've added more fibre and taken out some salt. And no one around our table has any complaints. It's still wonderful! We found the inspiration for this recipe in the book Artisan Bread in 5 Minutes a Day. We've made it our own with a few hacks. But this cookbook, and their follow-up The New Artisan Bread in 5 Minutes a Day are packed with terrific ideas for using the dough. 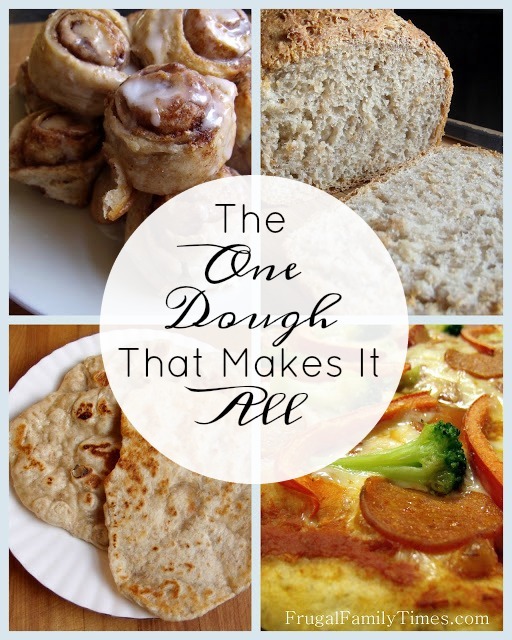 Over the years we've shared some of the many ways we use the dough. We make homemade pizza every week. We never buy frozen or pay for delivery. This dough makes it seem crazy to pay more for something that tastes nowhere as good and is half as tasty. Our kids LOVE this pizza crust. What follows is pictures of the step by step process for this recipe. You'll see, it's incredibly easy! This post will take you longer to read than it will to make. Hands-on time is about 5 minutes. Large Plastic container with lid for mixing/storing. 1. In a large measuring cup mix 3 cups warm water with the salt. 2. Sprinkle the yeast over the water and let sit to activate while you mix the flour. 4. Stir the yeast/salt/water mixture to make it pourable. Add it to the flour mix. Mix well. Here's the dough at about halfway mixed. Notice the dry clumps of flour. You don't want that. Your wrists may disagree, but keep mixing, paying close attention to the corners of your container (where the dry flour hides!). The dough will be a sticky glutinous ball that will gradually sag out and take the shape of the container. 5. Rise time. Leave the lid to your container slightly ajar on one corner and leave it at room temperature for a couple hours. If you use quick rise yeast, it may be ready in less than 2 hours. We've forgotten and left it out for much longer (went out to run errands) and returned to find a dough monster had pushed the lid off and was creeping out of the container. Don't do that. 6. After the rise, clear a space in your fridge. You can make and use this the same day. A couple hours in the fridge are required to make it easier to work with. It will benefit from an overnight rest and improves in flavour over the next week. We have never had a batch last longer than a week and a half, but if you store it longer than two, you may want to cut the dough up and freeze it. That likely won't ever need to happen. 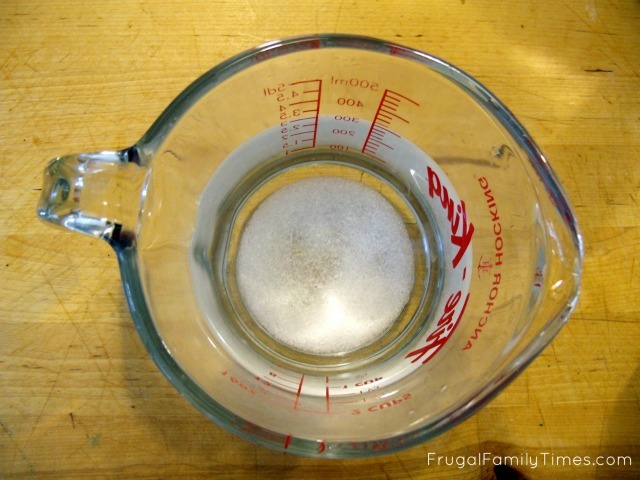 In a large measuring cup mix 3 cups warm water with the salt. Sprinkle the yeast over the water and let sit to activate while you mix the flour. 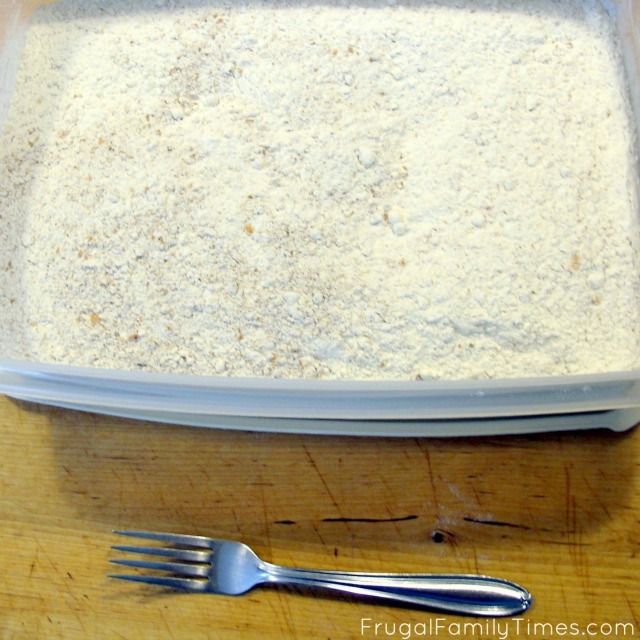 In your large container, mix the flours. 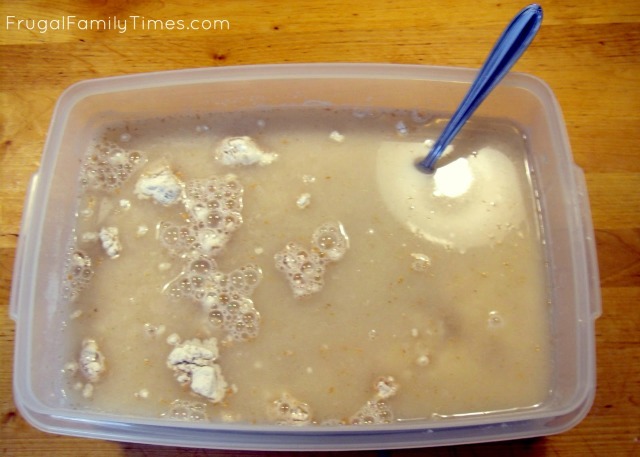 Stir the yeast/salt/water mixture to make it pourable. Add it to the flour mix. Mix well. 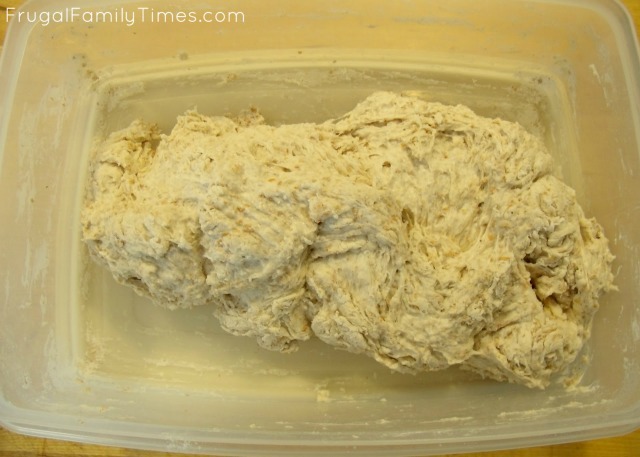 The dough will be a sticky glutinous ball that will gradually sag out and take the shape of the container. Rise time. 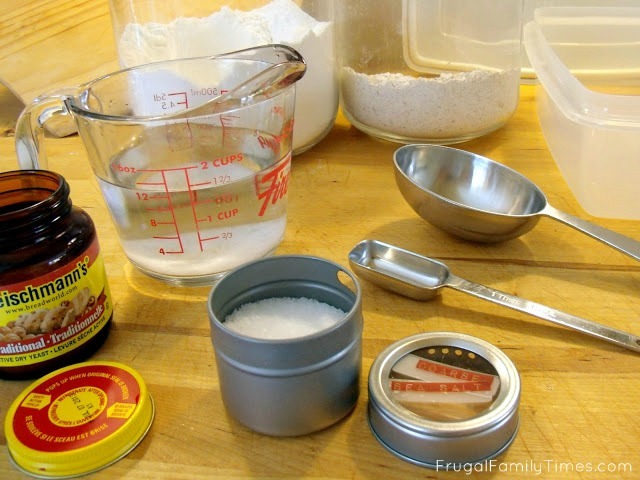 Leave the lid to your container slightly ajar on one corner and leave it at room temperature for a couple hours. After the rise, clear a space in your fridge. You can make and use this the same day. A couple hours in the fridge are required to make it easier to work with. It will benefit from an overnight rest and improves in flavour over the next week. 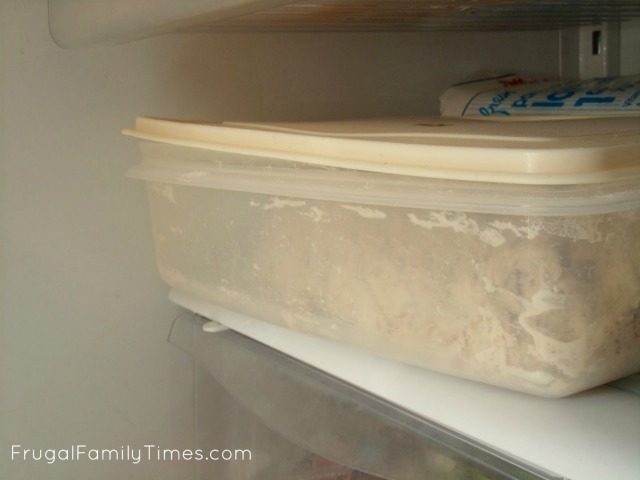 If you store it longer than two, you may want to cut the dough up and freeze it. Head back to FrugalFamilyTimes.com to get one of these recipes for baking instructions: • Pizza Dough • Basic Artisan Loaf • Sandwich Style Loaf • Easy Naan • Cinnamon Buns • Pull-Apart Monkey Bread and more! This is awesome,i love it. Thanks, TatiAnna - we love it, too! Have you ever tried this recipe with more wheat flour? How was the result? Also, what is the size of plastic container needed to make this work? 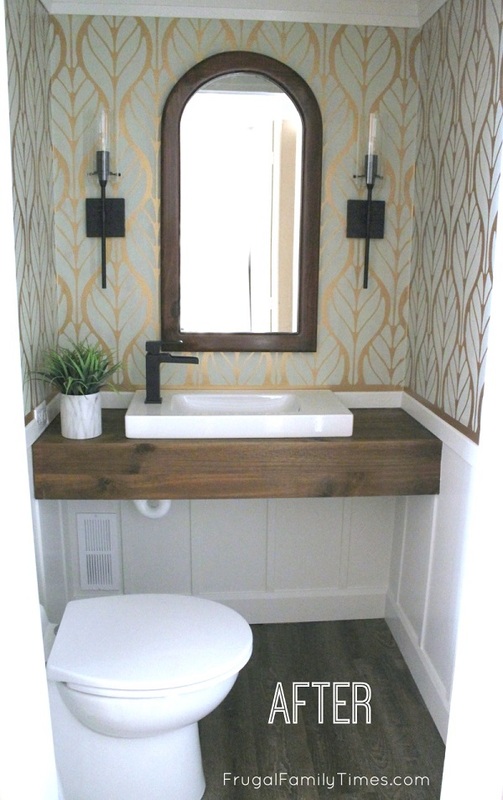 Thanks, love the blog! Success! We've done 50:50 whole wheat:white flour and it's worked out great. The dough is definitely more dense and a bit more chewy - but even the super sweet Monkey Bread didn't suffer from the extra whole wheat. Love that! Sometimes I think we should just make 2 Monkey breads every time. :) thanks for sharing your comment. First time reading your blog today! I'm a big fan of this recipe as well. For the record, you can leave a partial amount in the fridge for a long time and then use it up (fry it up in an iron skillet in the morning for a version of naan) or incorporate it into a new batch for a tangier taste. I love it too! First time in many many years I've even attempted to make a yeast dough. And it Worked!! !